d a n i e l l e b u r k l e o : september giveaway day! i have some pretty stellar sponsors for september! take some time to check each of them out and then enter this giveway! i mean…. who wouldn't enter this giveaway? all of these items are going to one winner. winner will be chosen by random.org and announced next week. extra entries: head on over to each of these shops and let me know what you favorite items are, follow these lovely ladies on twitter, follow their blogs, and like them on facebook. I love all things owl!! Love the vintage leaf - antique gold and aqua blue earrings from Mama's Nest. I want every owl from The Pleated Polkadot. I need that glass stone and copper leaf pendant necklace from LLWhimsy. Totally digging the Navy & Red Plaid Flannel Infinity Scarf from Eclectic Joy. LOVE the I love us embroidery hoop wall art from Moonbeam Wishes (and about a million other ones). Love the crocheted flower headband from Whimsical creations. I follow Mama Marchand's blog! I favorited Mama Marchand's shop! P.S. I follow your blog! Thank you so much for such a fun giveaway! I follow Mama Marchand on Twitter! I like Mama Marchand on Facebook! Such a fun giveaway! Love each of the products! such a fantastic group of ladies with amazing talent! wow, what amazing beautiful things! Love all the prizes such a great giveaway! Yes, please. I'd like to win. I "like" Lovely Little Whimsy's facebook page. I follow Lovely LIttle Whimsy's blog. Especially love all the scarves! So cute! Love giveaway day! It rocks! I follow lovely little whimsy! What a fun giveaway! Thanks for hosting! I love whimsical creations breezy slouchy hat in dark rose! I follow Mama Loves Papa! I love moonbeam wishes "you're never fully dressed without a smile." Eclectic Joy's Navy Floral Arrow Onesie is so sweet! Lovely Little Whimsy's ceramic owl necklace would be a perfect gift for my sister who loves owl's and green! I follow the Pleated Polkadot! Mama Marchand's Nest's abstract leaf earrings are beautiful! Love the embroidery hoops and love your blog! I love those sweet embroideries! As always such neat, unique, cute stuff! my fave hoot owl is the cherry polka dot. i follow moonbeam wishes on twitter. i visited moonbeam wishes etsy shop and i love "dress like everyday is a tea party" and "bow ties are cool"
I've had my eye on that adorable owl necklace and the Mama bird necklace is too cute! love the vintage tweet necklace at mama's nest design! love lovely little whimsy infinity scarves... white! love the golden yellow & blue flower infinity scarf from eclectic joy! oh moonbeamwishes... love it all!! I would probs get the "i love us". lovin the crimson cowl from flutterbyhannah! i love the vintage tweet copper bird necklace from MamaNestDesigns! Love the giveaway! Such beautiful items and beautiful ladies! love the owl earrings from mama marchards nest! the navy polkadot owl from the pleated polka dot is presh! the purple button earrings from lovely little whimsy are my fav! the aztec infinity scarf from eclectic joy is perfect for fall!! the "you are the bees knees" embroidery hoop from moonbeam wishes is cute! the crocheted infinity scarf in ocean blue from whimsical creations is so ME! loving mama marchand's nest's gold leaf earrings. lovely little whimsy's layered beaded necklace is my fave. moonbeam's "i love us" hoop would be perfect for my sister's upcoming wedding. whimsical creations oatmeal cowl. yes! What a great giveaway! I especially love the embroidery hoop art! the owl necklace is my fav, so cute! The embroidery hoop art is my favorite so far! adorable!!! The wonky owl navy polka dot is my fave at pleated polka dot! wow, so many lovelys in this giveaway! thanks for sharing... i need to get on with my christmas shopping and here are some good ideas! Love all the giveaways this month! You always have the best sponsors! LOVE the "if you have a garden and a library" hoop art over at moonbeam wishes! My boys "need" the navy polka dot wonky owl from the pleated polka dot. I've been eyeing that golden yellow and blue floral infinity scarf at eclectic joy for a while! You find the best sponsors for your giveaways! Love the Free bird necklace from mama m nest designs! really loving the glass stone with copper leaf from lovely little whimsy....a lot!! Pink ruffle onesie is so adorable from eclectic joy!! I love the :i love us: hoop from moonbeam wishes. Would go great in my redecorated room! The vintage tweet necklace at Mama's Nest is very pretty! I follow Tricia on FB. I so need that off white burnout infinity scarf from Lovely Little Whimsy's shop! haha! I totally just favorited the "Whenever I get sad, I stop being sad and start being *awesome* instead." embroidery art from Moonbeam Wishes! Such a great giveaway and awesome vendors! I just ordered an embroidery hoop! Dress like every day is a tea party. :) Can't wait. 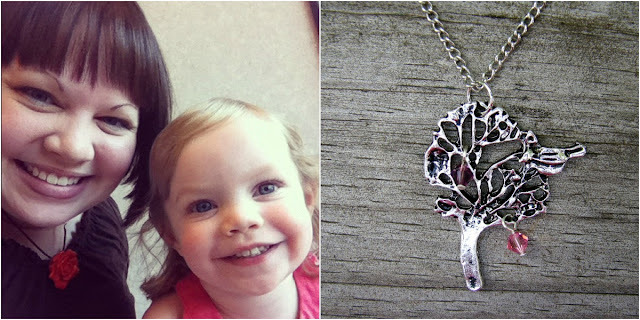 I am dying over the owl necklace at lovely little whimsy. Def my favorite thing there. My entire kindergarten classroom is decorated in owls. I neeeeed a wonky hoot owl from the pleated polka dot. My fave is the navy polka dot one. Any future child of mine needs to have a tie onsie from eclectic joy...! (are you tired of my comments yet...?) There is a crocheted slouchy hat in light beige with a big red rose from whimsical creations that I'm in love with. All these items are so cool! WOW! Great giveaway with REALLY cute stuff!!! Am I too late? Would love to win these goodies!